The two sides fought evenly for most of the match, with chances at either side. 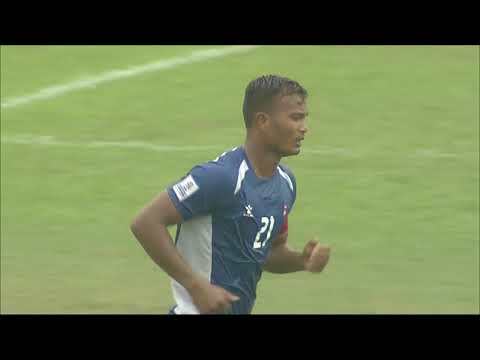 Just when it seemed that the game would end in a stalemate, Bangladesh's Topu Barman, who scored against Bhutan as well, ensured his team walked away with all three points. Delighted after the game, Bangladesh coach Jamie Day said, "Pakistan is a really good side. But I think all the hard word, fourteen weeks of fitness training showed in performance at the end, and I think we deserved to get the goal. I know a lot of the Pakistani players, I know they've trained very hard. We knew it was going to be a tough game and we had to fight. The boys did just that." Pakistani midfielders Mehmood Khan and captain Saddam Hussain ensured that the possession in the midfield transitioned into quick attacks and kept feeding striker Muhammad Ali. However, Bangladesh operated as an able defensive unit and goalkeeper Sahidul Alam's heroics between the sticks ensured that Ali's threats were neutralised. "I don't think the result is a fair reflection of our performance. Both teams played very well, both had 50-50 possession. It's unfortunate that we couldn't get any points from this game," remarked Pakistan head coach Jose Antonio Nogueira after the game. The win doesn't guarantee semi-final qualification for Bangladesh with things nicely set-up for a final-day showdown. Bangladesh currently lead the group and need a point to guarantee qualification. Pakistan, meanwhile, would need to get all three points against Bhutan and hope Bangladesh win against Nepal. In case Nepal and Pakistan both grab victories, the three teams would be tied on points and a better goal difference would decide which two teams go through.